Mission: The mission of the University of the Incarnate Word Parent Advisory Board is to support the University of the Incarnate Word in maintaining academic excellence by endeavoring: to assist students and their parents in understanding their environment at UIW, to communicate and problem solve with parents, students, and alumni relations; and to assist in the recruitment and promotion of UIW with prospective students, parents, schools and communities. 1. Communication - assist in information and problem solving among students, alumni, parents and UIW. 2. Recruitment - promote UIW in the community by contracting prospective students, parents and schools. 3. 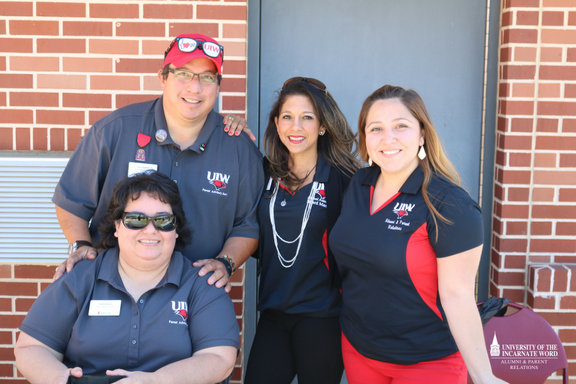 Development - assist UIW in fundraising efforts. 4. Special Projects - assist UIW in areas where we feel we can make a fulfilling, positive impact. Participate in the UIW Annual Fund during the annual giving campaign. Participate in the fall orientation for new parents & families. Aid in the identification of internships & career opportunities for students & recent graduates. Help identify prospective students by attending or hosting events. Make calls to parents of prospective students. Distribute admissions materials to local high schools.